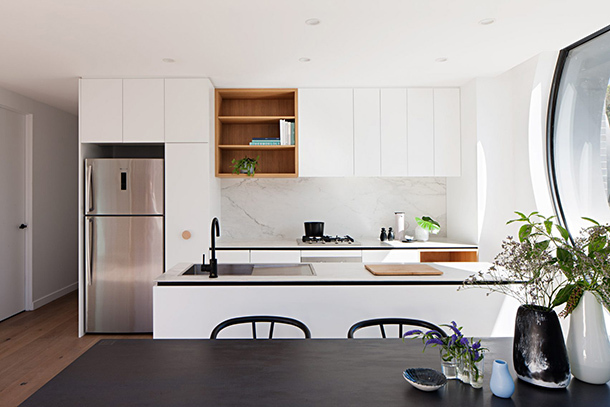 The challenge for Australian BKK Architects is the consolidation of two neighboring properties into a single, multi-residential complex. 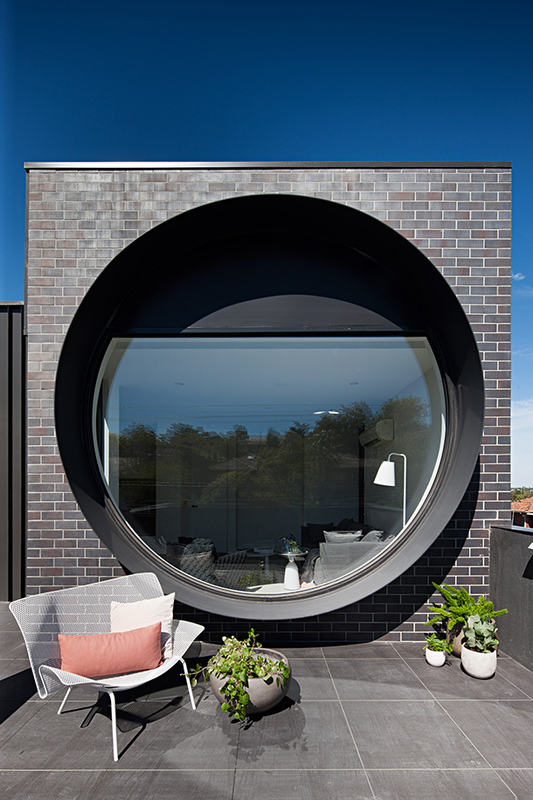 Featuring 44 housing on two levels, 5 800 square footage is made up of six cubes jutting out to the street, each pierced by a large glass porthole. Like a game of Tetris, the dark brick facades articulate to reduce the mass of buildings in the neighborhood where it takes place. 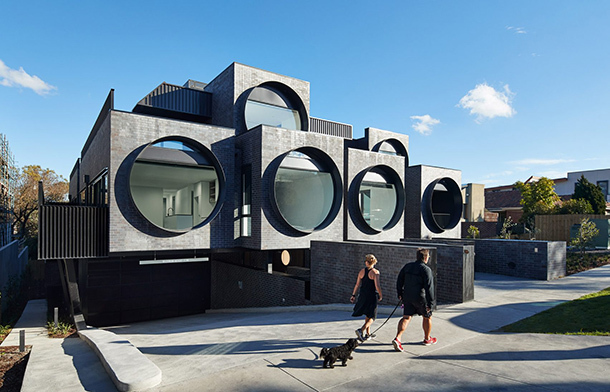 Surrounded by tertiary premises, this housing building integrates the vernacular architecture of its environment while reinterpreting the codes of the residential typology. 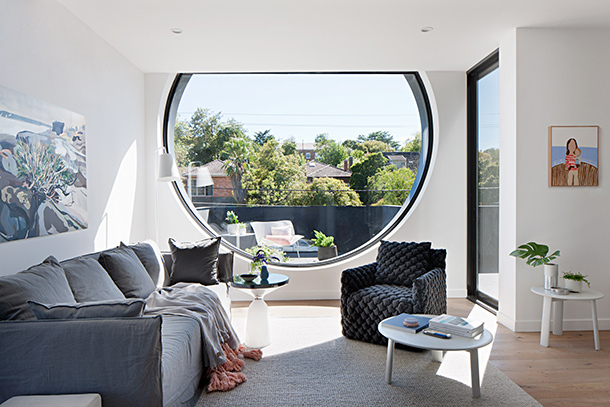 In addition to bathing the apartments with natural light, the windows connect the interior spaces to the surrounding landscaping. 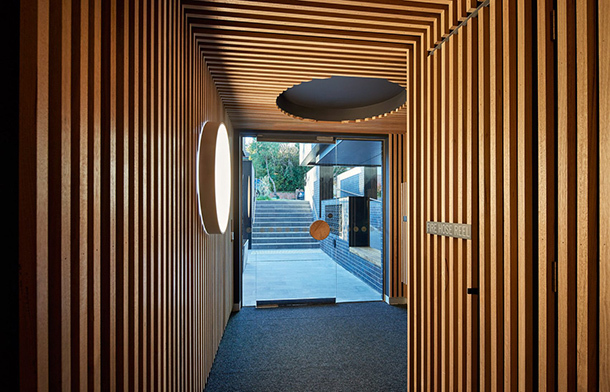 Heart of the program, these generous windows also inspire the design of interiors including circular lights integrated into the ribbed wood wall coverings. Located in an area still mostly reserved for businesses, the project aims to encourage the development of Ivanhoe East's life and see, soon, their residents wander along the roadways. Like what, it is possible to make a round in a square!